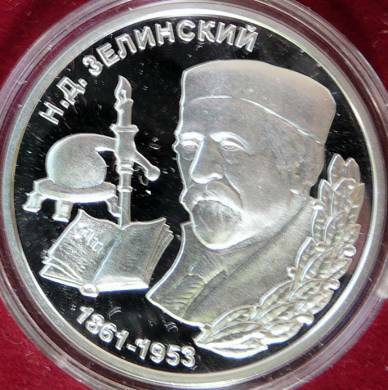 Lev Semenovich Berg was born at Tighina (Bender). 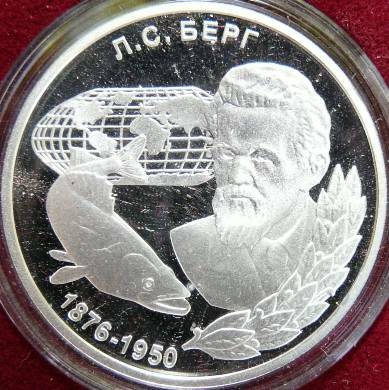 The pikeperch represented on the coin is an allusion to the Berg's activity as ichthyologist. 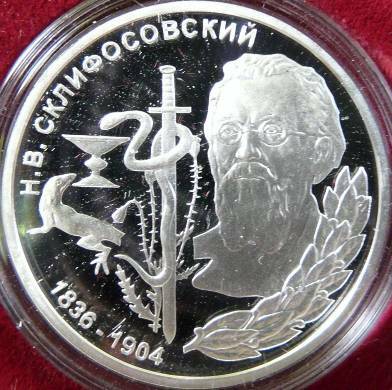 He studied the freshwater fishes of Russia and of Soviet Union. Berg was president of the Soviet Geographical Society between 1940 and 1950. "Moldavians - these are Romanians, who populate Moldavia [former Principality of], Basarabia [gubernia created after 1812 (in 1871) inside the Russian Empire by separation of territory from the principality] and neighbouring parts to Basarabia in gubernias Podolsk [Podolia] and Herson [Transnistria]; in a number not so big they live also in the Gubernia of Ekaterinoslav. They call themselves Moldovan (Moldoveni in plural - therefore the correct writing is Moldovan, as Puşkin wrote, not Moldavan), and Romania [created in 1859 by the Union of Moldavia and Walachia] they are calling Moldavia. From the Romanians in Walachia, or Walachians, they differentiate by minor dialect characteristics. The Romanians were known in the Russian initial chronicle, that called them Volohs, southern Slavs call them Vlahs. 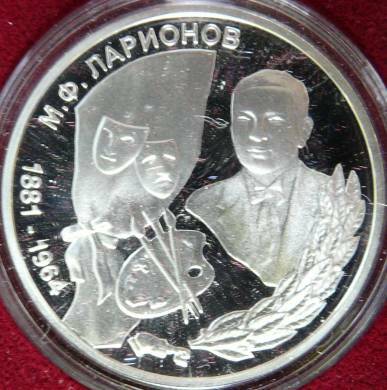 After the 14th century, another denomination spreads in Poles and Russians for Romanians - Munteni, Multeani, Multani; this name is taken from Romanian language, where it signifies inhabitants of the mountains: munte, from Latin montes, means mountain, in particular - Carpathian Mountains." Berg also made a study: Население Бессарабии. Этнографический состав и численностъ (Berg L.S., Population of Basarabia. Ethnographic Composition and number. 1923, 60 pages). Nicolay Dimitrievich Zelinsky was born at Tiraspol (Republic of Moldavia, Transnistria). A crater on the dark side of the Moon was named after Zelinsky.